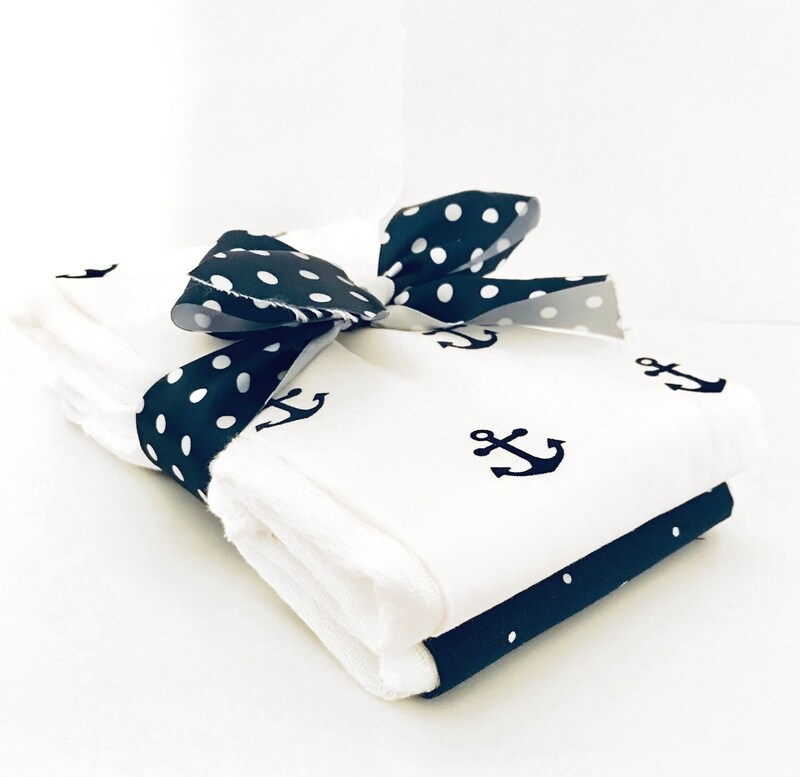 A super cute burp cloth set. 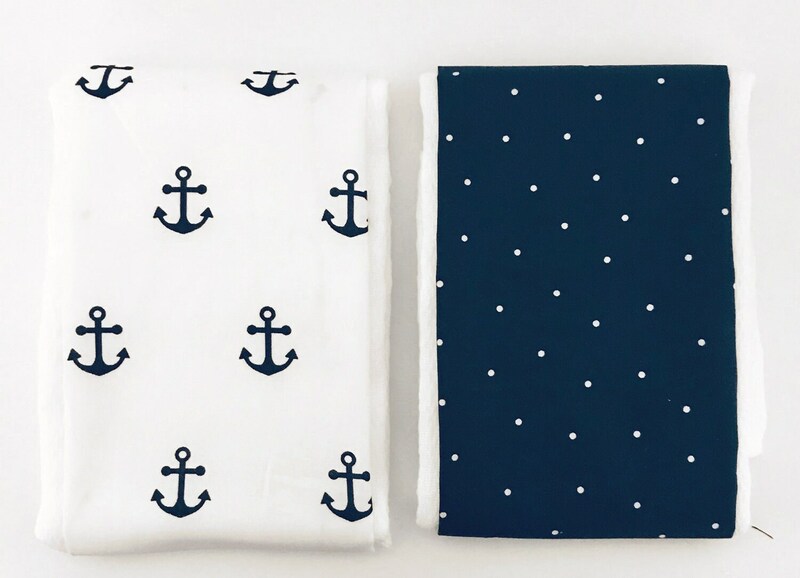 Each burp cloth is made of birdseye cotton trimmed with charming nautical anchor and coordinating fabrics in navy and white color palette. The natural cotton gauze fabric "quills" nicely after washing and becomes softer with every wash. Some shrinkage is to be expected.